Zabbix is an open source software for monitoring availability and performance. Zabbix comes at no cost. Zabbix offers great performance for data gathering and can be scaled to very large environments. It can be used to keep track of multiple physical or virtual private server instances. Web monitoring as well as monitoring of WMware virtual machines is possible with Zabbix. Click here to know more about zabbix. 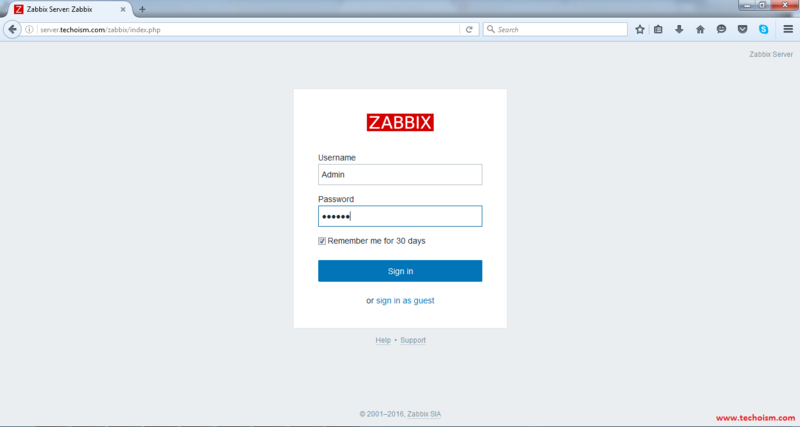 This article will help you install Zabbix on Ubuntu Systems. Before installing Zabbix, we should have install and configure LAMP stack on server. Use below command to install these services If it’s not installed. In this step, we will update timezone in php configuration file. 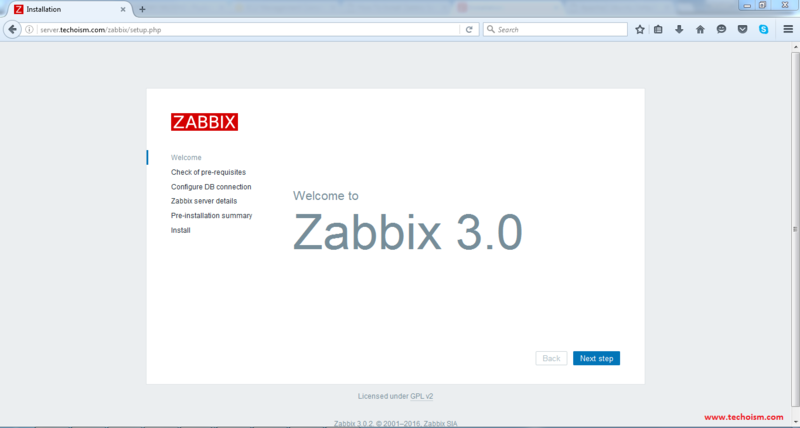 Before installing Zabbix first install the zabbix repository in our system, use following commands to install the zabbix repository. After adding zabbix apt repository in your system use following command to install Zabbix using mysql database. 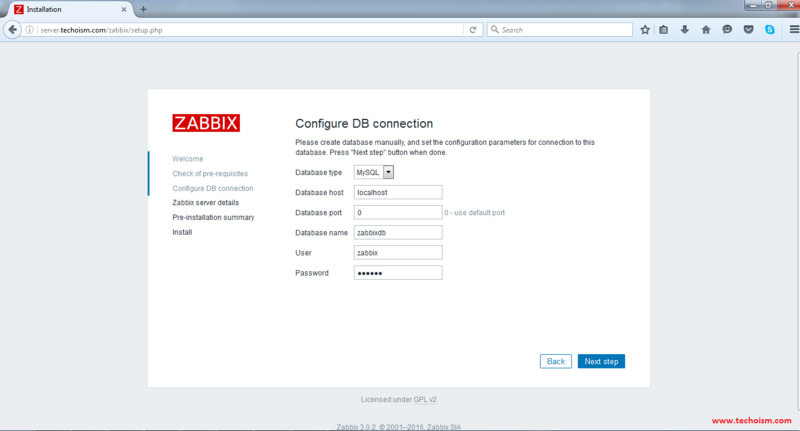 Now create a database for zabbix server. Use following commands to create mysql database and user for your zabbix server. Now edit zabbix server configuration file and update following entries. Use following command to restart Apache service. Use following command to restart Zabbix service. 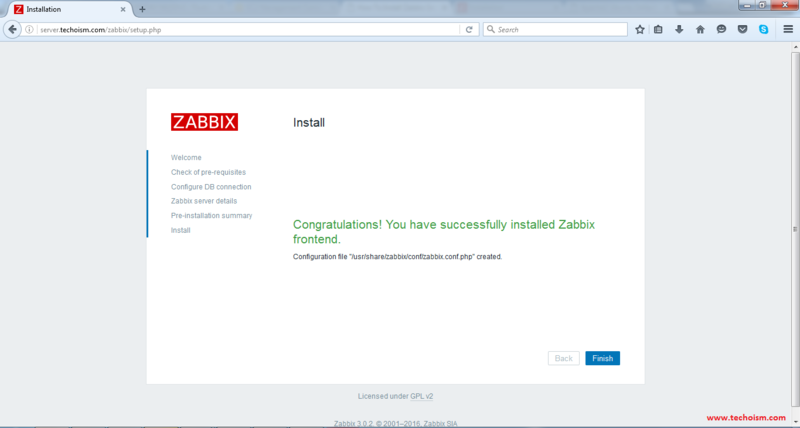 After starting zabbix service, let’s go to zabbix web installer and finish the installation. 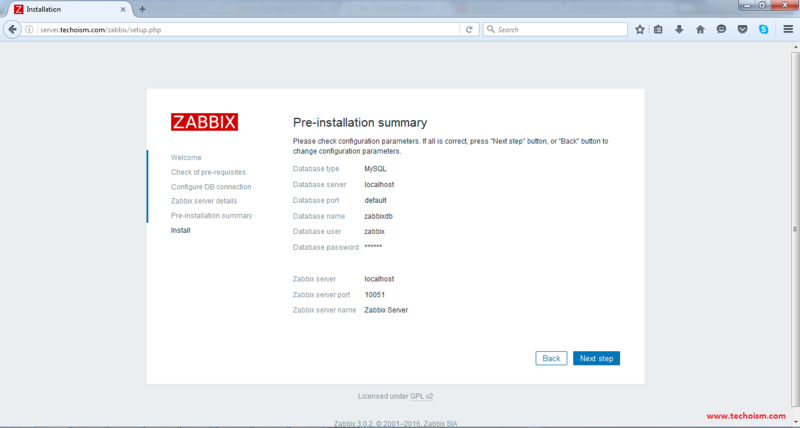 Zabbix web installer can be access using following url. Now follow the steps as per given instructions. Check if your system have all required packages, if everything is ok click "Next step". Enter database details and click Test Connection. If database connection is correct, it will show ok message. After that click "Next step". 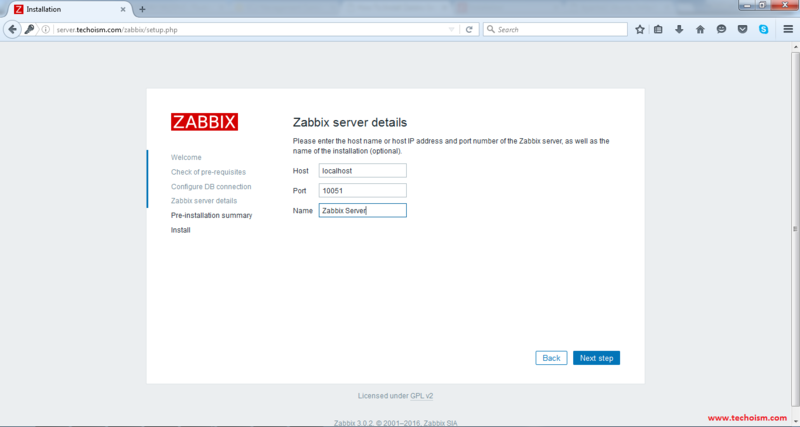 Now enter Zabbix Server Details and click next. Please check configuration parameters, If all is correct press "Next step"
Login to Zabbix using below default credentials. 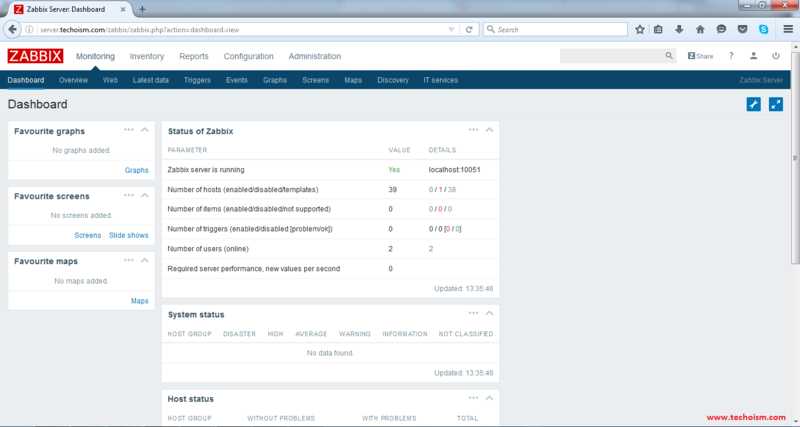 After successful login you will get zabbix dashboard like below.